World History is not abandoned with the rise of the American nation. 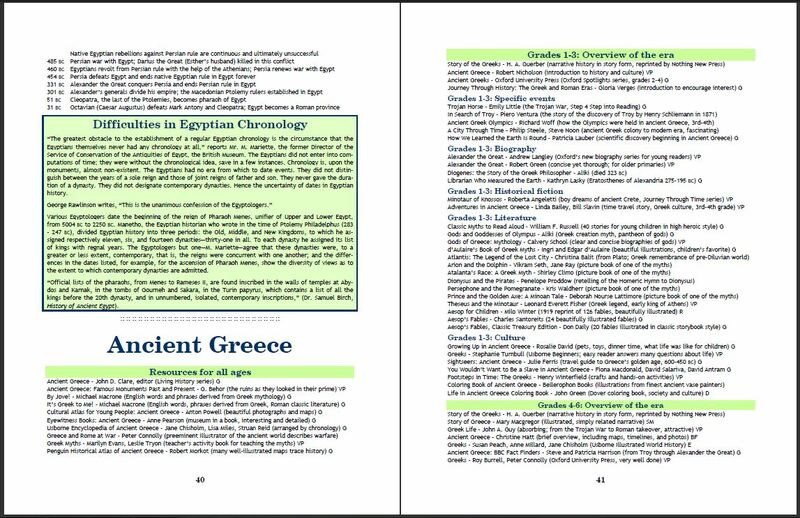 A separate subsection titled World Events is included at the end of every American History section, beginning with New World Colonization through the Modern Era.The Geographical History portion of the guide covers World History by region rather than by time period. All seven of the continents are represented, as well as island groups such as Polynesia and Indonesia, in 27 sections. Many of the books from the Chronological History section are included, and others in addition deal with the culture and geography of that particular region. 10-12 for college-bound readers in 10th through 12th grades. Culture; way of life, society, art, cooking, diaries, letters, journals. 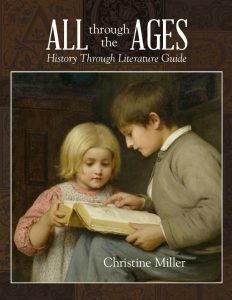 No matter where a family is in their World and American History studies, no matter what varying grade levels are represented in that family, All Through the Ages lists the good “living books” and great literature to choose from, from picture books and beginning readers all the way through the Great Books of Western Civilization.